Place sliced lemon, safron, pickled lemon, 1/2 rosemary sprigs into cavity of fish. Cut 3 scores on each side of the fish. Thread skewers to close cavity. 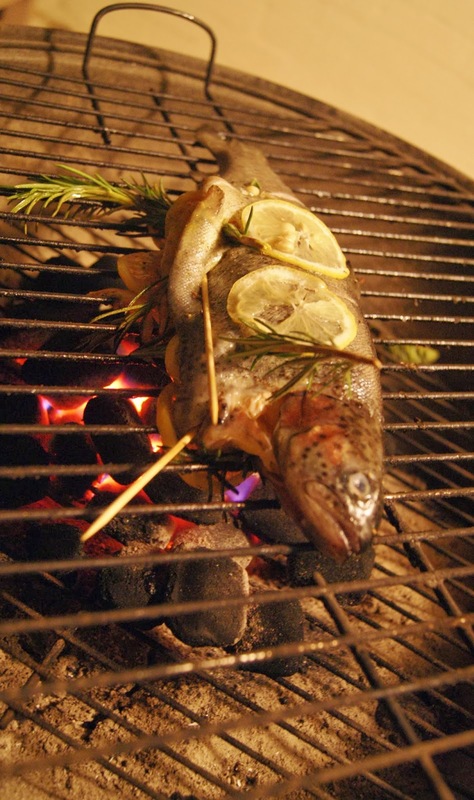 Also use remaining sprigs of rosemary with skewers. 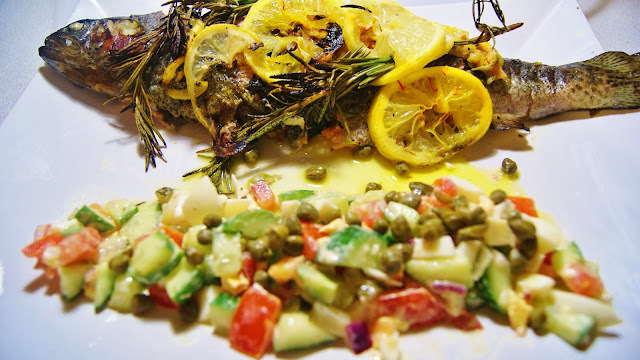 Drizzle with olive oil and sprinkle salt and pepper over fish for taste. Leave in fridge for 30mins - 1hr. Using a coal/wood BBQ, wait until coals are white hot. 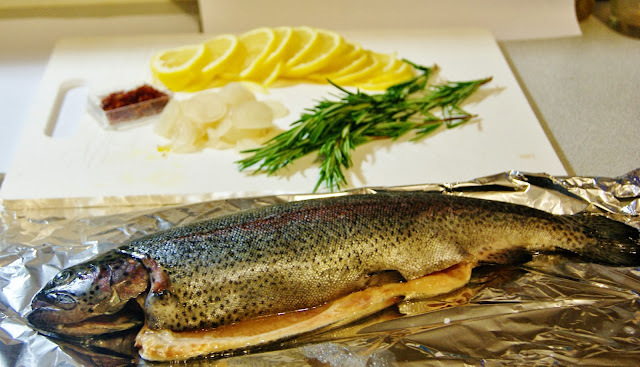 Place fish on grill and cook for about 10-12mins on first side followed by 5mins on the other. Cook with lid on. For salad, place tomato, cucumber, avocado, red onion and egg into a bowl. Add mayonnaise and a little olive oil. Add a teaspoon of lemon juice also if desired. Then, add mayonnaise. Stir and serve. Sprinkle capers on top.